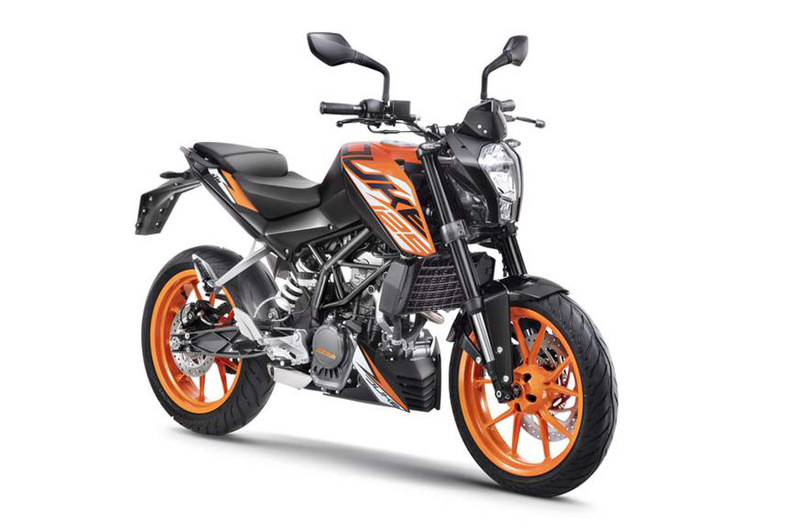 KTM has finally launched the new 125 Duke in India and it is now the new entry-level model of the company. We were expecting the Austrian manufacturer to introduce the International-spec model, which gets the same design as the new generation 390 Duke but the company did not bring this design theme to India. To keep aggressive pricing, the company has decided to give the same styling as 200 Duke and it is the only model in KTM’s lineup not to get an update to newer styling theme. Both these bikes share lots of components like body panels, split seats, handlebar, fully-digital instrument cluster, wheels, tyres and suspension components. The 125 Duke does not get dual channel ABS system as it will increase cost considerably instead the company provides single-channel ABS system from Pulsar RS 200 and the rear wheels get an ABS-like ring, which is designed to monitor the speed of rear wheel as it provides a rear wheel lift mitigation under hard braking. The suspension duties are handled by upside down forks at the front and mono suspension at the rear as the engineers have tuned the suspension for sporty handling just like its siblings. The company has given 300 mm disc brake at front with four-pot brake caliper and 230 mm single disc at one-pot brake calipers. 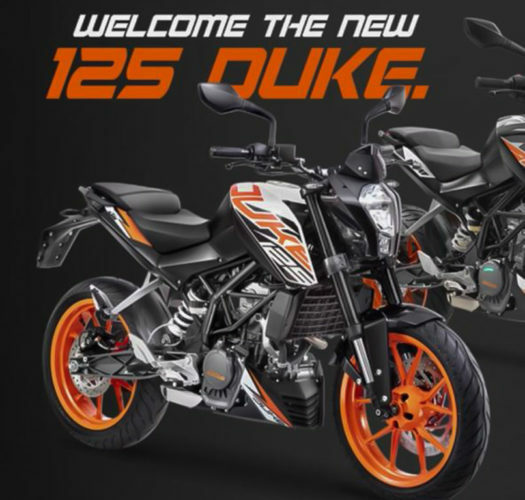 The 125 Duke come with 17-inch wheels with 110/70 at front and 150/60 at the rear. Like the 200 Duke, the tyres will be the same MRF Revz tyres, which offer good grip in dry and wet conditions. But the engine from International model is retained in Indian version and the company has not detuned the engine. The 124.7 cc liquid cooled single cylinder engine produces 15 bhp of power at 9,500 rpm and 11.80 Nm of torque at 8,000 rpm. This engine is mated to a 6-speed gearbox and it comes with same underbelly exhaust from the Duke 200 as most of the Duke models come with side mounted exhaust, which was introduced as part of stringent new emission norms in Europe. Bookings are now open across KTM dealerships in India and it is priced at Rs. 1.18 lakh (ex-showroom, Delhi). It has seat height of 818 mm and tips weighing scale at 148 kg. It will compete against models like TVS Apache RTR 200 4V and Yamaha YZF-R15 Version 3.0. It is the first 125 cc motorcycle in India to get ABS and the most powerful in the segment as well.